"Doctor Gordon's waiting room was hushed and beige. The walls were beige, and the carpets were beige, and the upholstered chairs and sofas were beige. There were no mirrors or pictures, only certificates from different medical schools, with Doctor Gordon;s name in Latin, hung about the walls. Pale green loopy ferns and spiked leaves of a much darker green filled the ceramic pots on the end-table and the coffee-table and the magazine-table." "But when I took up my pen, my hand made big, jerky letters like those of a child, and the lines sloped down the page from left to right almost diagonally, as if they were loops of string lying on the paper, and someone had come along and blown them askew." I had been meaning to read this book for long time. 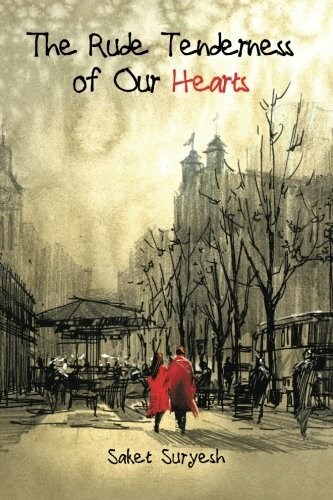 I was restrained by two things- One, the book did not seem to be available in most of the bookshops I would visit; Two, I had a feeling that this book would be a bleak, gloomy and grieving story. This was the only novel which Sylvia Plath wrote before eventually committing suicide, only a few weeks after the book was published. 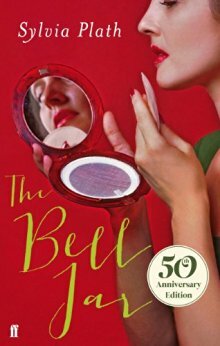 The Bell Jar is almost a memoir. It is the story of Esther Greenwood, a young, bright student who is struggling with an intellect which is so prominent that it becomes a burden. "The horror of being talented and having no recent work I'm proud of, or even have to show." "What I always thought I had in mind was getting some big scholarship to graduate school or a grant to study all over Europe and then I thought I'd be a professor and write books of poems or write books of poems and be an editor of some sort." Like Plath, Esther represents a middle-class bright kid, who knows her calling is to be a poet or a writer, but cannot avoid her Physics and chemistry. She is a tormented young soul pulled between a world of convenient mediocrity and an agonizing search for the right place for her immense talent. "No children until I have done it." " 'What I hate is the thought of being under a man's thumb.....A man doesn't have a worry in the world, while I've got a baby hanging over my head like a big stick, to keep me in line' "
This is what I consider the most significant conversation of the whole novel. The whole matter is about coming to terms with what you are, without negating it, without getting into a conflict with it. She is not looking at chastity. She wants to have child, have a husband (be happy for the success of her husband as Plath was for Ted Hughes' success as a poet); but she also wants to fulfill the demands her own tremendous capabilities placed on her. She wants to celebrate being a woman without surrendering the promises her own talent places on her as an individual. Even when the story is about the struggle of an extremely, all-A, young individual, goes through the challenging world of depression, suicide attempts and mental asylum; contrary to my fears, the book and the writing is always bright, and hopeful in some sense. The style of writing of Ms. Plath is extremely visual. She doesn't write with the inward-looking patience of Ms. Woolf; she writes with an extremely observant eye which is her own. The language is extremely visual and picturesque (the excerpt on the top is a proof of it). Fortunately, Esther finds resolution, unfortunately, Sylvia Plath did not and ended her life, much like Virginia Woolf. We are left only to wonder what great work we would have been blessed with if only she had lived longer. My recommendation- Do read. This books will answer some questions for every artist even if you are not a woman.